After flying into Kogatende from Manyara, we were transferred to Sayari Mara Camp where we received a very cordial welcome. Luggage stowed in our cabin and freshened up from the trip, we set off in our 4WD Land Cruiser for an afternoon safari with two other guests. 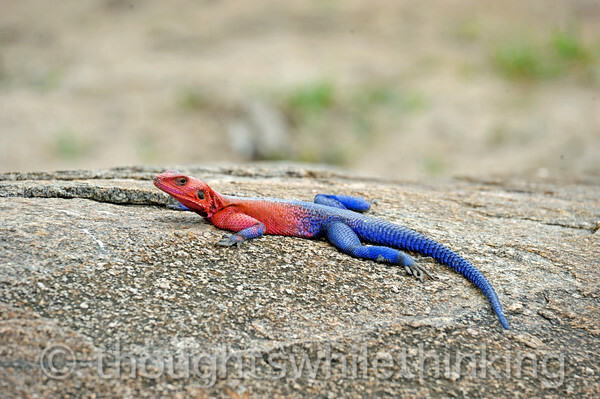 First up, not 100 feet from Camp, was this male, Mwanza Flat-headed Rock Agama, basking in the sun.